You need to choose your healthcare provider carefully because you need someone with your best interests at heart to advise you. Our friendly, compassionate, and skilled medical professionals here at Tigris MCD will help you through all kinds of health problems and provide honest advice. If you want medical assistance from a trustworthy doctor, you don’t need to look beyond us. We aim to be a premiere Liverpool family medical centre and have shaped our facilities and services accordingly. —We’re conveniently located in Liverpool to service the local and nearby community. We’re within easy reach of the train stations and major roadways so you won’t have any trouble finding us. —We try to keep our appointment schedule as busy as possible but we do make some room for walk-ins. 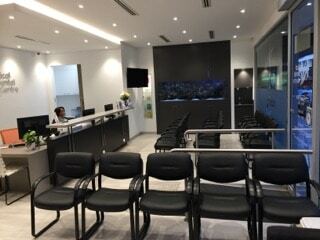 You’re always welcome to arrive directly to our facility if you don’t mind waiting for some time for the appointment. —Our Liverpool family medical center has state-of-the-art equipment and facilities. We also have some of the most accurate diagnostics equipment to help us determine the root cause of your health problems. —We provide bulk billing to everyone who requires it. These are just some of the many traits that set us apart from other such medical facilities so if you want excellent health care, just give us a call today. —We have onsite pathology services so you get your test results and treatments quickly. —Our pediatricians can administer immunisations to children of all ages. We can also administer adult immunisations if you intend to travel to other countries. —We have detailed care plans to ensure our patients recover completely and regain their health. —Our doctors can handle men’s, women’s, and children’s health. We have several women GPs and doctors on our staff. We provide insurance medicals and business services. We also provide after hours service so you can call us for assistance even after work hours. Our doctors and dentists will be available to you from Monday to Saturday and our office hours are 8AM to 8PM. If you need medical assistance from great doctors, new and hygienic facilities, and excellent care, don’t hesitate to call us or visit Tigris MDC Liverpool family medical centre today. We’ll be happy to help in every way possible. You can also book appointments online.